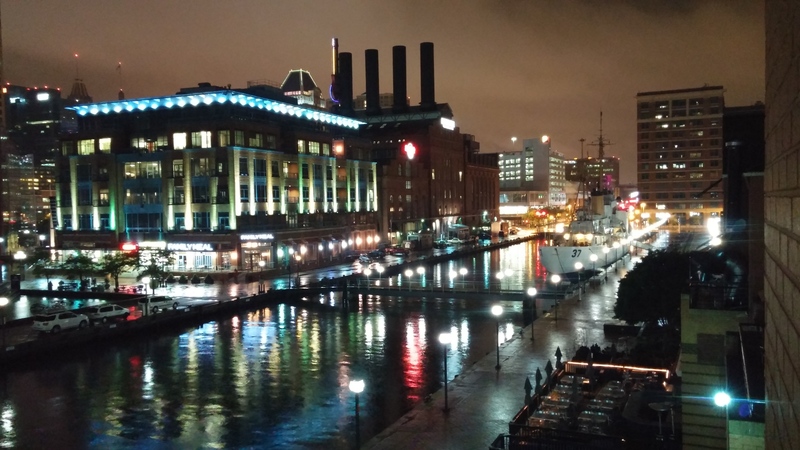 Baltimore is the largest city in Maryland with a rich history. The Baltimore Department of Public Works provides all drinking water, wastewater, and stormwater services. In recent years, there has been an increasing concern over aging infrastructure, affordability and financial solvency. Baltimore’s sewer system is over 100 years old, and was originally designed to discharge directly into the city’s waterways. While BDPW has been working to repair and replace their system, there are frequent mainline and sewer line breaks making over flow events quite common, sometimes resulting in millions of gallons of contaminated water flowing into the regions waterways. In response to these challenges, the city is keen on developing new funding strategies, one water practices, and green infrastructure projects—although funding these endeavors remains a concern. Baltimore also sits on Chesapeake Bay, which is often considered strong economic engine for the area. Chesapeake Bay is a major amenity in the area, and after decades of increased nutrient runoff and pollution issues, Federal and State Agencies have worked to fund and improve the environmental quality of Bay. Baltimore has three drinking water treatment plants, Montebello I, Montebello II, and the Ashburton Filtration Plant. The plants produce around 360 million gallons of potable water each day. In addition to supplying Baltimore with treated water, BDPW also treats and supplies water to the nearby counties, including: Baltimore, Howard, Harford, Carroll and Anne Arundel. Baltimore was one of the first cities in the United States to implement a comprehensive system of storm and sanitary sewers with early treatment technologies to help protect the Bay. Today, BDPW operates two large wastewater treatment plants, Back River and Patapsco. BDPW maintains roughly 1,400 of the 3,100 miles of the sanitary sewer system mains. This system is comprised of many miles of sewer lines and 18 pumping stations. On average 200 million gallons of wastewater is treated and discharged every day. Baltimore City does not have any large scale non-potable or recycled water systems and treated wastewater is discharged into local waters. Stormwater is managed by. Baltimore City has approximately 59 miles of coastline and 116 miles of streams and 5 different watersheds, although the region used to have many more waterways before they were diverted or piped. In addition to reducing runoff pollutants through traditional means, the BDPW is installing best management practices facilities and green infrastructure to improve the quality of waterways. Stormwater services are funded primarily through stormwater fees that are included in residents water bills. The BDPW uses this revenue to meet regulatory standards and is attempting to improve overall environmental water quality though a number of partnerships with local environmental groups, including: Alliance for the Chesapeake Bay, Blue Water Baltimore, Chesapeake Bay Foundation, Chesapeake Bay Trust, and Parks & People Foundation. The primary water sources for Baltimore are the Gunpowder River and the Patapsco River, as well as water from rainfall and snowmelt events. These water supplies are stored in three main reservoirs, Prettyboy, Loch Raven, and Liberty whose combined capacity is approximately 264,000 acre-ft of water. While the city of Baltimore uses mainly surface water, nearly 10% the population in Baltimore County relies on groundwater and uses septic systems. As such, groundwater contamination is significant a concern for the region.